From numeric gold production cyclical considerations and backed by real data, a dramatic decrease in the global gold production in the coming years is predicted. IPM Group Comments : While at a precious metals conference last year, we listened intently to one of the speakers, the head of the Gold Miners Association. In his presentation he explained very clearly that the gold mining industry was at peak production in 2014/15 and due to the massive correction in gold prices since 2011 (enormous cut backs to exploration have taken place for example) and the larger gold production cycles that we are cusping on the amount of gold extracted from the earth's strata and the drop in production over the next few years would be extremely significant (precipitous even) and irreversible ! Why irreversible you may ask ? Well there are many reasons for this including the destruction of gold mining productivity due to the massive fall off in ore-grades, the fact that it takes approximately 15 to 20 years from finding a site to a stage of full gold production (even if the site has a rich gold content) as gold exploration has been cut back to near zero over the last 4 years or so, the rise in protection against the environmental effects of mining which has seen overall costs escalate dramatically. The list continues which are significant headwinds against future gold production. From numeric cyclical considerations presented in this paper a further decrease in the global gold production in the coming years is predicted. Two analyses show 1,600 tons in 2018 or even as low as 780 tons in 2026/30 as possible end points of the current sub-cycle. World demand against a shrinking supply - where do you think prices are going ? In just nine years, the top five gold producers nearly doubled their diesel consumption from 320 million gallons (MG) in 2005 to 591 MG in 2013. 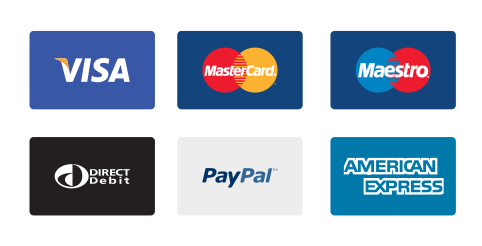 I haven’t updated these figures for 2014, because most of the companies haven’t released their figures for 2014 (found in their Sustainability Reports). The reason I am posting this information on 2013’s figures now… I failed to update some of this information last year. Basically, the top five gold miners have to move a lot more ore to produce the same (or actually less) gold than they did just nine years ago. One company that released their 2014 energy consumption figures was Newmont. Actually, Newmont’s total diesel consumption declined from 179 MG in 2013 to 158 MG in 2014. This was due to lower gold production as well as much lower volumes of waste rock. Newmont’s waste rock fell from 620 million tons in 2013 to 398 million tons in 2014. I would imagine part of the reason for the decline in waste rock was due to Newmont high-grading its mines. This is the mining technique of extracting the higher grade ore, resulting in higher gold yields with less waste rock removal. I believe Barrick’s diesel consumption will also decline in 2014 as they cut back on the construction of many projects and also high-graded some of its gold mines. 2013 may turn out to be the year that the top five gold producers peaked in their total diesel consumption. Thus, peak of global gold production may be close at hand. Lastly, I wanted to mention the release of THE SILVER CHART REPORT next week on Tuesday. The report has 48 silver charts from some of my work over the past six years (all updated), including many new ones never seen before. The report includes a silver price chart that I believe very few, if any in the precious metal community have ever seen before. Even though my readers have seen a few of my silver price charts in previous articles, this one is brand new. One look at this chart, and the investor will clearly see why silver traded a certain way over the past 100+ years. 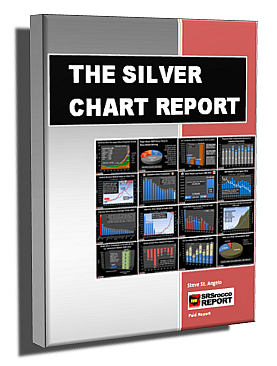 THE SILVER CHART REPORT is made up of five sections that cover the silver market and industry like no other single publication on the internet.